Zayn has spent the last few months pumping out new material, including the Timbaland-produced “Too Much” and October’s millennial-minded “Fingers”. 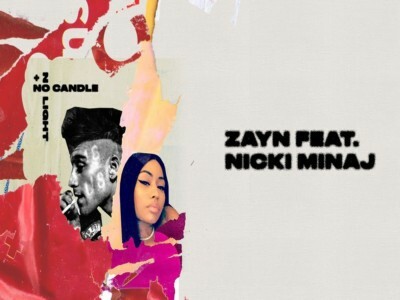 The former One Direction member is back today with yet another offering from his arsenal, a collaboration with Nicki Minaj called “No Candle No Light”. "No Candle No Light" tells the story of a couple whose relationship has run its course. Kicking off with Minaj's unmistakable "Young Money" call, the rapper smoothly slides in with the lyrics, "Hand on your hand/ Chest on your chest/ Tangled in bed/ But I'm feeling you less." Zayn's voice is silkier than ever as he continues to contemplate about the relationship in the following verses. Zayn and Minaj then share singing responsibilities om the chorus, vocalizing over a sultry beat.